Now you can go on vacation more relaxed! 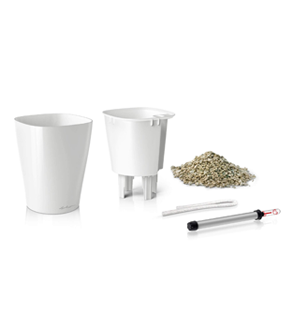 Lechuza Deltini is a self-watering pot that features inorganic granular compounds that provide the right amount of water to plant roots. Transplant your Citrina to the Lechuza pot by taking away most of the peat around the roots and adding the Lechuza granules. Make sure the roots gets the granules around it. 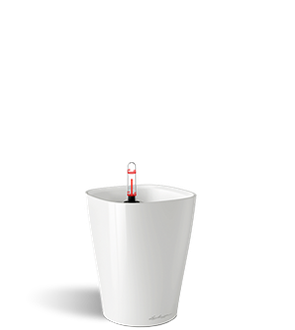 Now, simply fill up the water reservoir until the red line reaches the max (top), and you have many days of hassle free watering. The water level indicator will tell you when to water again. 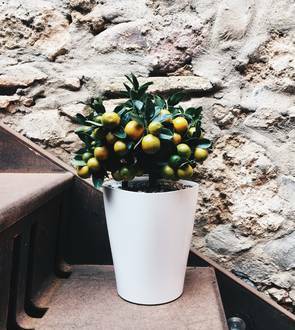 We do not recommend Ophelia and Onika transplantation for this type of self-watering pot since these plants require less humidity than all other Citrinas.